Cook Group Inc., of Bloomington, Ind., will provide $750,000 to endow the Leslie A. Geddes Chair in Biomedical Engineering in honor of the longtime faculty member. 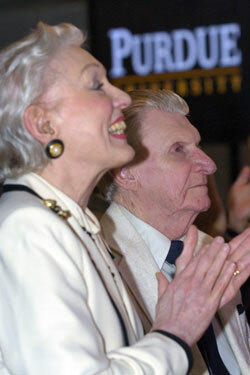 Geddes, who came to the university in 1974, is the Purdue Showalter Distinguished Professor Emeritus of Biomedical Engineering. Listen to audio of Dr. Jischke announcing the Geddes professorship.